Kudremukh the “trekkers paradise” and the 3rd highest peak in Karnataka was going to be my next destination. Kudremukh which literally means “Horse” “Face” in Kannada because the peak resembles the horse face. Didn’t give any thoughts about the fitness before leaving. But trust me if you are not fit please don’t even try this trek. It has lush green landscape which you can adore for a lifetime. Also, you can get a similar picture to the bliss theme(Windows XP wallpaper). One of the most important things is carrying your Aadhar copy for the permit about which I’ll tell in detail further. 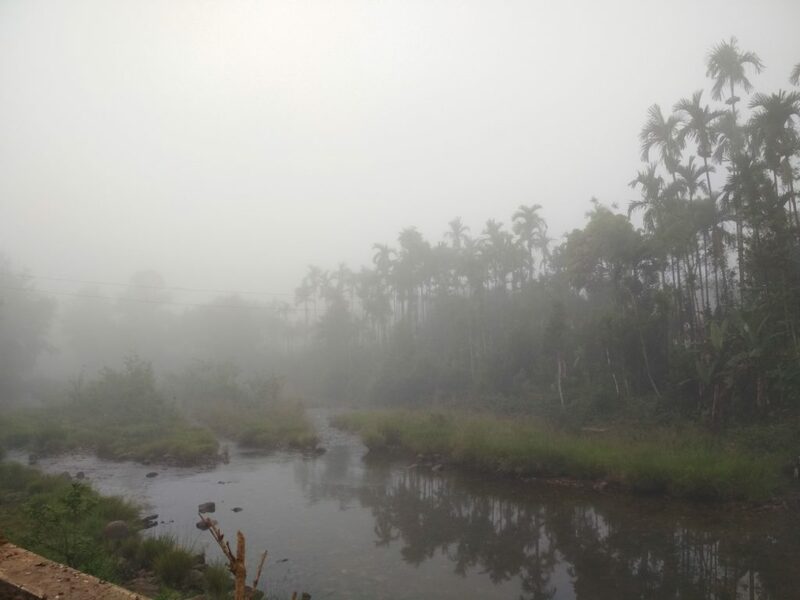 The best time to visit Kudremukh would be after the Monsoon from October to March. You can go after March as well but it starts getting hotter which makes the trekking harder. During the monsoon, a lot of leeches can be found hanging everywhere make sure to cover your full body with clothes. I started my trip from Bangalore in the night. So to reach Kudremukh there are no direct buses instead we have to get down at Kalasa. And for Kalasa as well there are very few buses. You can either book a seater or sleeper based on your choice. Sugama tourist and KSRTC provide the bus till Kalasa. The price starts from Rs 326 to Rs 550 for seater and sleeper respectively. I took the seater and the bus reached Kalasa at early morning in the 5. It was pitch dark and very cold so make sure to carry at least one woollen clothing with you. The bus drops you near the police station. Take a right from there and after going a few steps ahead you’ll find the petrol pump from where you’ll get the next bus to Kudremukh. It surely made me feel like I should settle here in the calmness of the town. The people of the town were also very simple and humble. The city buses start at 6:30 in the morning. 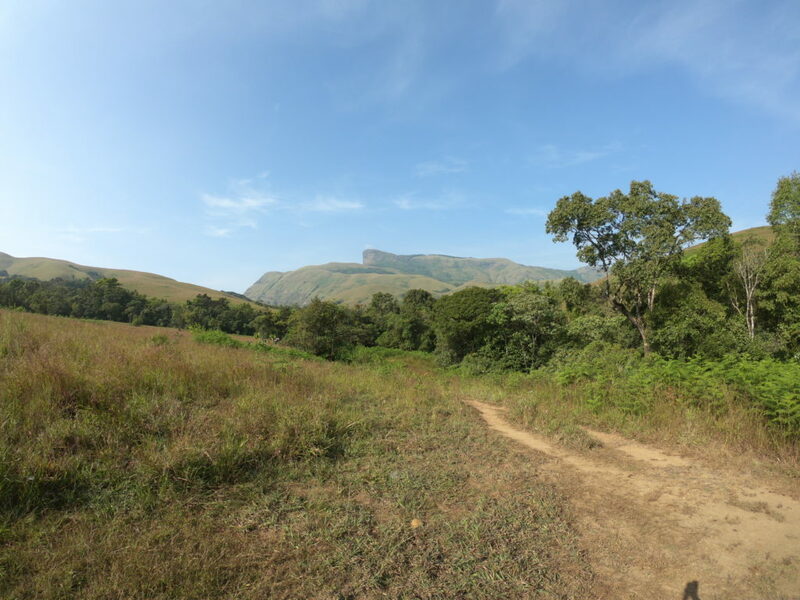 The distance from Kalasa to the base of Kudremukh trek is approximately 10Kms. The bus charges Rs 20 only. If going with a group you can get down at Balegal. 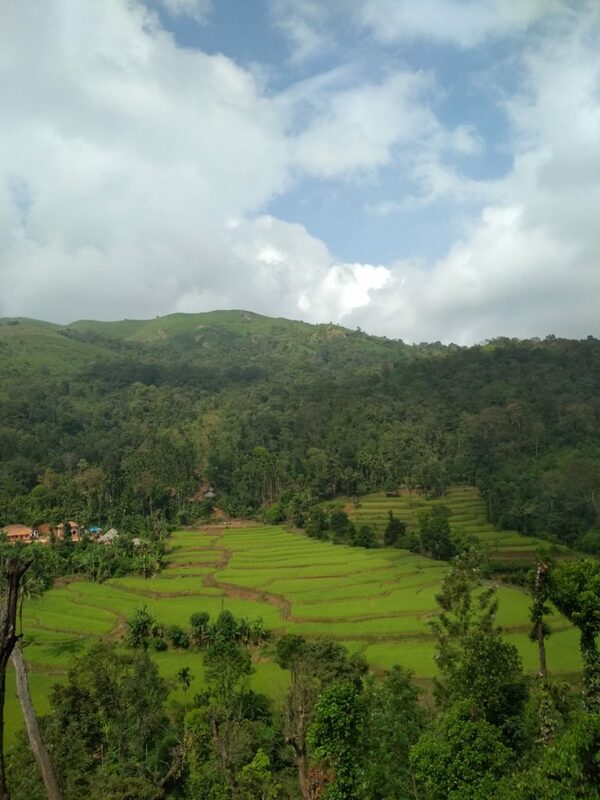 Once you get down at Balegal you can hire a jeep, which will drop you to the forest office for the permission and also take you to the base camp of the Kudremukh trek. The jeep costs Rs 1,200 for the whole group but if bargained can be brought down to Rs 1000. For solo travellers, you can directly go in the bus till Kudremukh check post forest gate 2. But you can only do the trek if you manage to find a group in which you can fit in. 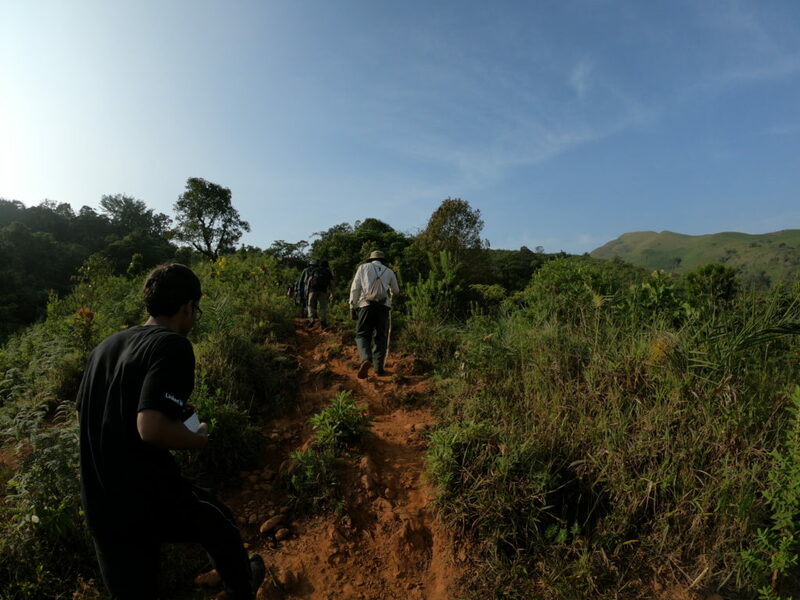 Things to know about trekking in Kudremukh. The first and the most important thing is the Aadhar copy without which you wouldn’t get the permit to trek. The permit charges are 275 per person which you have to pay at the forest office. Once you have the permit you can go back in the jeep to the base camp. The base camp(Mulodi) is 6 Kms from Balegal. Hold on to your seat well, cause this is gonna be one helluva ride. The trek is 18 km both ways and usually takes 4-5 hrs one way. The trekking is not allowed after 9:30 am. The forest officer will tell there is no place to stay near the base camp. But trust me you can stay in Raje Gowda’s home which is right at the base camp. Once you reach the base camp you can keep your luggage in his place and freshen up. If you are carrying your tent he will charge you 500 for pitching your tent and 4 times food(2 Breakfast, Lunch and Dinner). But if you want a room in his place you will have to pay him 700. 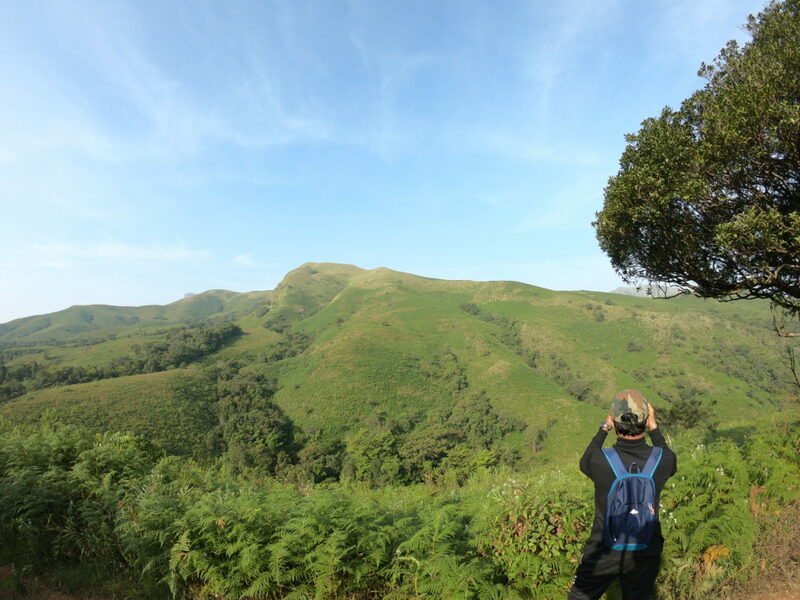 Kudremukh trek base camp: The beginning of lush green landscapes. On leaving the Raje Gowda’s homestay, make sure to pack some lunch for yourself. You need to have a guide for this trek or else you can’t do this trek. The guide charges Rs300 – Rs500 per person based on how good you can bargain. The trek starts from the forest office in the base camp. Please don’t litter the national park as while coming back the bags and if you have left anything on the trek they will fine you. I started the trek at 9:15 AM The start of the trek is easy, all you see is lush green mountains. On the way, you see a lot many boards which tell you about the animals in the national park. You would be lucky if you spot even one of them all, I could find was leeches(insect). Trekking almost a kilometre you’ll find a tree, which is a great place for photography and you can take a 5 min break. The peak is also seen from here. You can carry one water bottle which is sufficient as you will find many water streams from where you can drink the water directly. 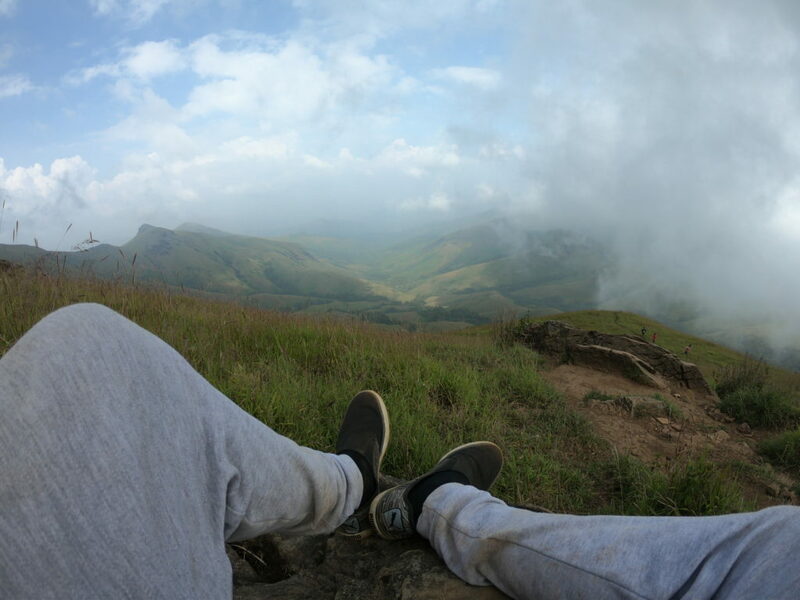 The Kudremukh trekking route is just amazing with the green landscape on the bottom and white clouds at the top. On going further you will cross a couple of water streams. The first 4-5 km of the trek is easy. I wonder did someone actually plant these trees and made them resting spots or these trees were already present and people stopped here for photography and then it became a resting spot. Beyond this tree, the main trek starts. You find your first steep climb. Make sure to have a good breakfast at the starting of the trek and don’t be like me. I almost gave up because I hadn’t eaten my breakfast until the guide told me to have something. So everyone went front and after finishing my breakfast I started the trek again. You just can’t stop admiring the place. The peak looks even closer now. 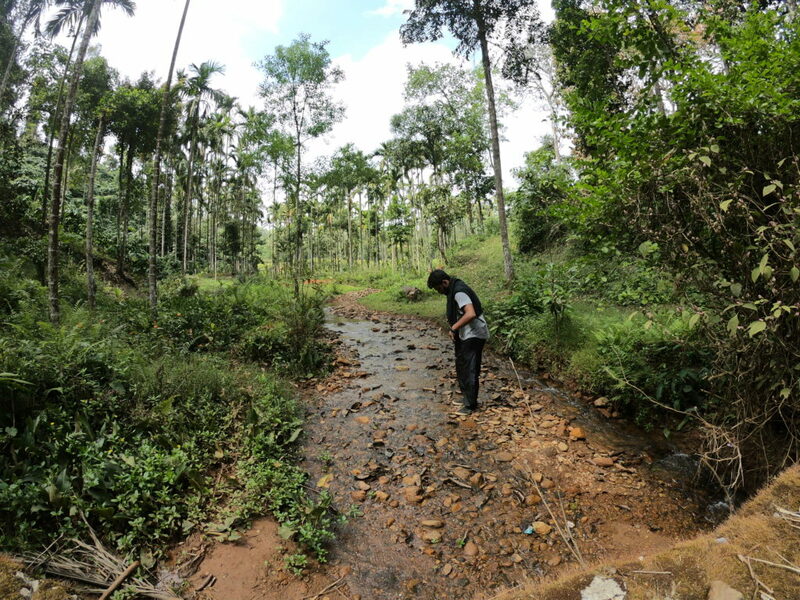 After every km, there is a water stream. The water is so cold and drinkable, which makes you feel so refreshed. Almost reach near the second steep, this time I feel better to climb it but then since not being fit I did take many stops. It was already 1 pm, our guide told us to hurry up as while getting down it will get dark. The summit: Finally did it! During the trek, I had given up so many times but I don’t know what still kept me going. And after almost 4 hours I did reach the summit. Had some lunch there, rested for a while and took some photos. The peak is all covered in the clouds. No visibility because of the clouds and it gets cold as well. After taking some deserved rest and some decent photos we start to trek down. Getting down is easier but is risky as well. One wrong step and you might hurt yourself very badly. The descent was again very picturesque and it took a total of 3 hours. After reaching the base the forest officers did check our bag whether we hadn’t left anything in the national park. Reaching the homestay I had some snacks and pitched my tent. Since it was almost drizzling I placed my tent in the house verandah. After having the dinner early(8 pm) I dozed off. In the night it did rain heavily. Mind you there is no or less signal in the homestay. I got up by 8 am and started preparing for the day. I had enquired everyone about the famous Hanuman Gundi Falls. Since they have closed it I planned to go see another falls – Ellaneru falls. After having some breakfast I left the homestay. You can tell the owner of the homestay to call the jeep. Since I preferred to walk down to click some good photos. On the way found an old man who too was walking down. And I spoke with him in Kannada. I guess I hadn’t spoken so much Kannada in the last 14 years, how much I spoke in the last 2 days. It surely made the people feel good as well. I reached the bus stop and took the bus to Samse. The bus ticket was just Rs 8. 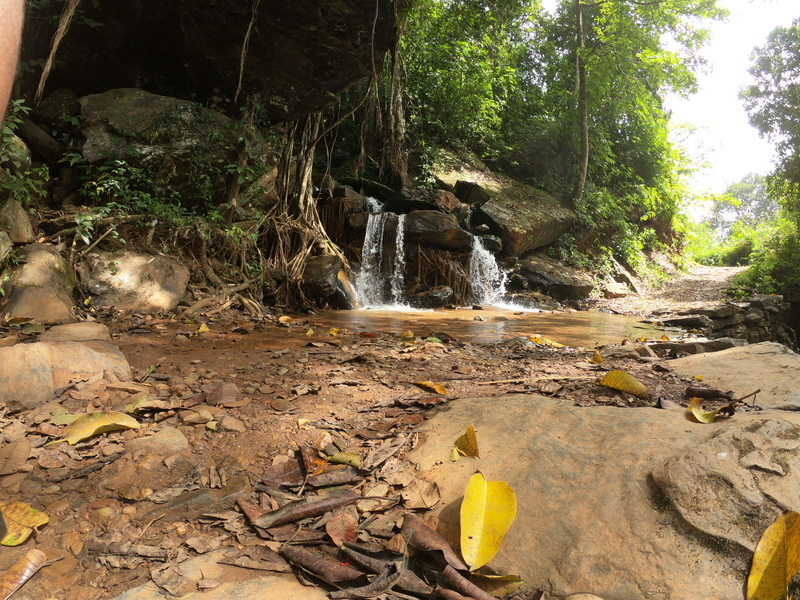 After reaching Samse I asked one of the localite about the direction to the falls. After walking for almost 2 km i was almost inside the forest. Very few houses could now be seen. I asked in one of the houses and they told me it’s just 1km(Which never got over). I started walking but then there comes a time when there was no one seen on the path. It gets scary when you are solo travelling to places like these. After going more further I found 2 bikers coming top. Upon enquiring with them they told the falls is another 200mts. Found some relief, reached the falls and found no one there. Relaxed some time there and had to rush because of a lot of leeches. On the way back stopped at some beautiful streams which had some beautiful rice fields at the back. Once you reach the main road you can take an auto to the bust stop it will just be Rs20. My next stop was a tea plantation spot. It was just the next stop. It was already 3 pm and I had started to starve. 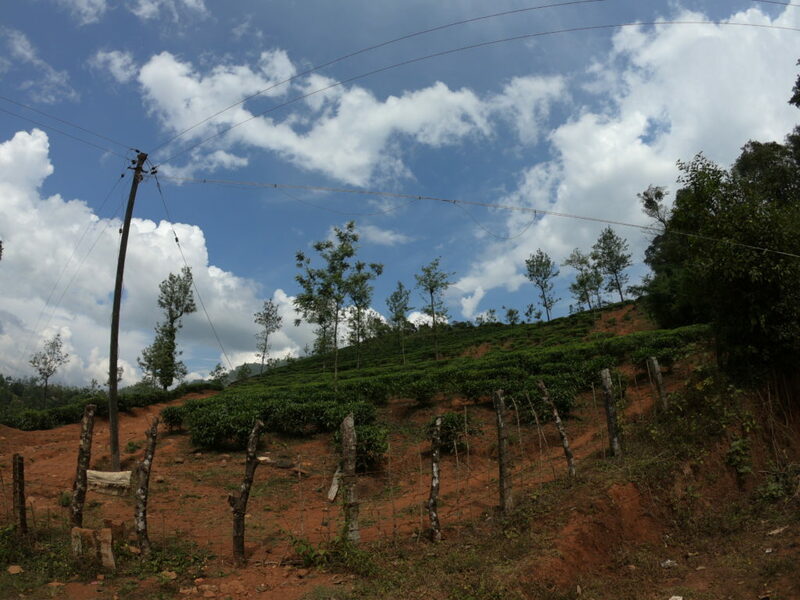 I decided to finish seeing the tea plantation soon and catch the bus to Kalasa. Upon reaching there on the left you can see the water flowing and on the right is the beautiful tea plantation. 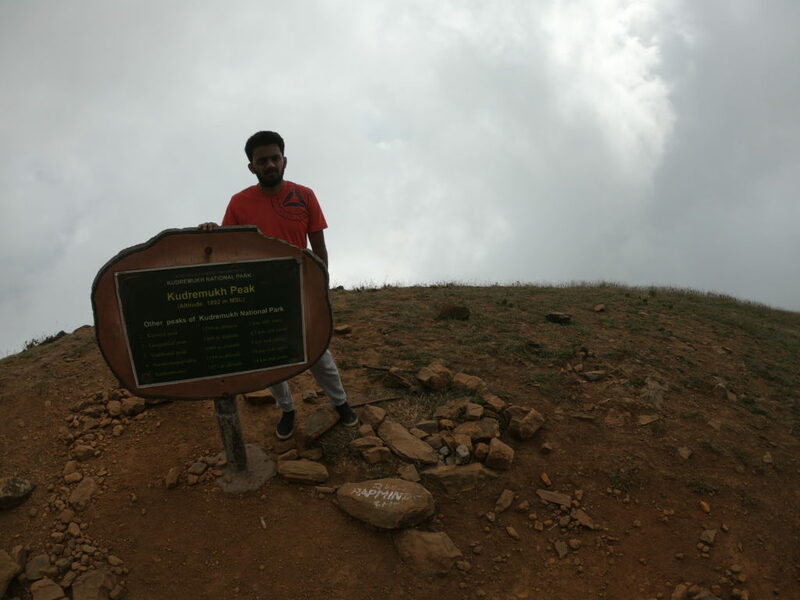 It is a must visit place if you come for Kudremukh trek. After spending 30 mins at the tea plantation I took the bus back to Kalasa and had some amazing egg fried rice at a local restaurant for 70 Rs. It was already 4:30 pm, my bus was in the night at 9 pm. So I just stayed at the waiting space for the bus which was smelling bad but didn’t have any other place to go either. The time just passed and it was already 8 pm, so preferred to have dinner soon. Had loved the fried rice so much ordered the same thing with half plate chicken which costed me Rs 150. And to digest everything had some Soda which was 25Rs. The bus was on time and after sitting in the bus i don’t remember when I slept. Reached Bangalore early morning by 6 am. This was the end of an adventurous trip. 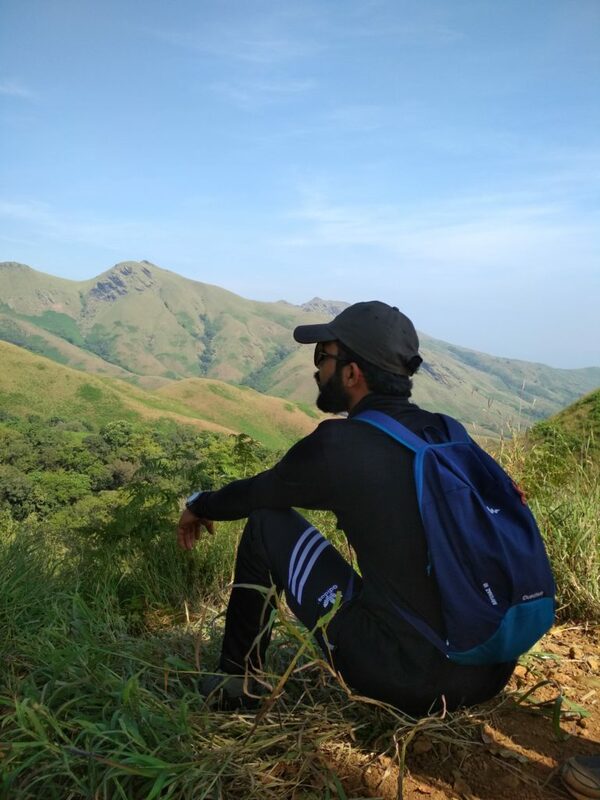 Kudremukh trek taught me a lot of things: Try to always be fit, never skip food while travelling. It was a great learning overall. KSRTC and sugama tourist buses will drop you till kalasa from where you have to take city bus. Further Read Gokarna Travel guide! 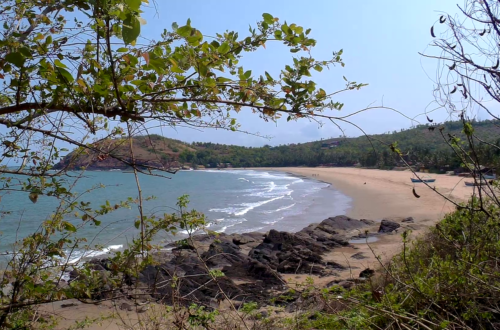 The next article is also going to be about Camping in Gokarna so stay tuned! If you have any questions drop a comment or DM me at Stories of Raku. Looks like a fun and challenging hike with beautiful views. Beautiful pictures – looks like a challenging trek, but well worth it. It’s totally worth a visit. Thanks a lot bro, means a lot from you! Cool. Very comprehensive and detailed! What an incredible journey! I learned a lot from this article and really felt like I was there. Thank you so much! This hike looks intense but so fun! My husband I really like hiking! It’s my pleasure i was able to tell you about this place! 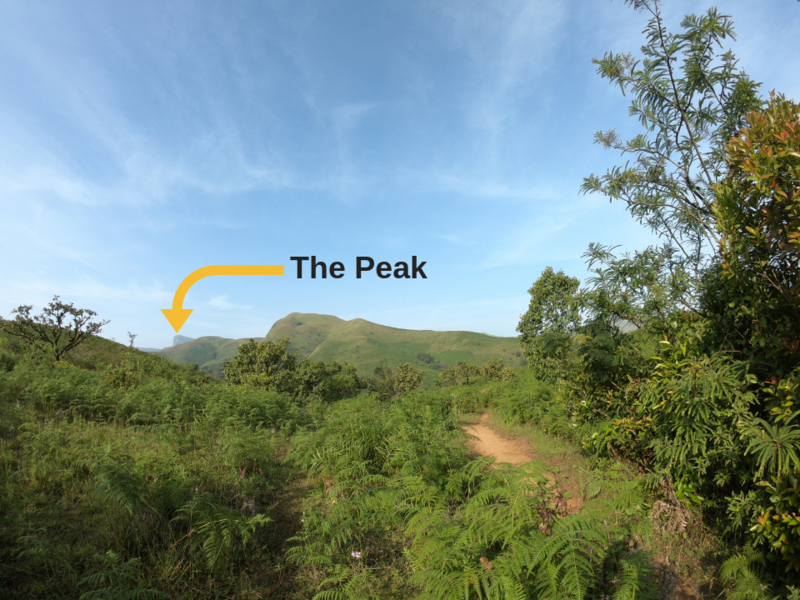 What an awesome guide for hikers on how to enjoy a trek in Kudremukh! Yes i hope it helps everyone! This looks like a great hike! You took some cool photos, and that landscape is so pretty too. Doesn’t it look like the old windows XP wallpaper? Hey Luna thanks a lot! I had never heard of this trek before, thanks for sharing it with us! You should surely give it a try once you are in India! Great photos! That hike and view is breathtaking. Unfortunately i wasn’t able to see the sunrise on this one cause it had started to rain by the time i was descenting. Doesn’t it remind of that old XP wallpaper? 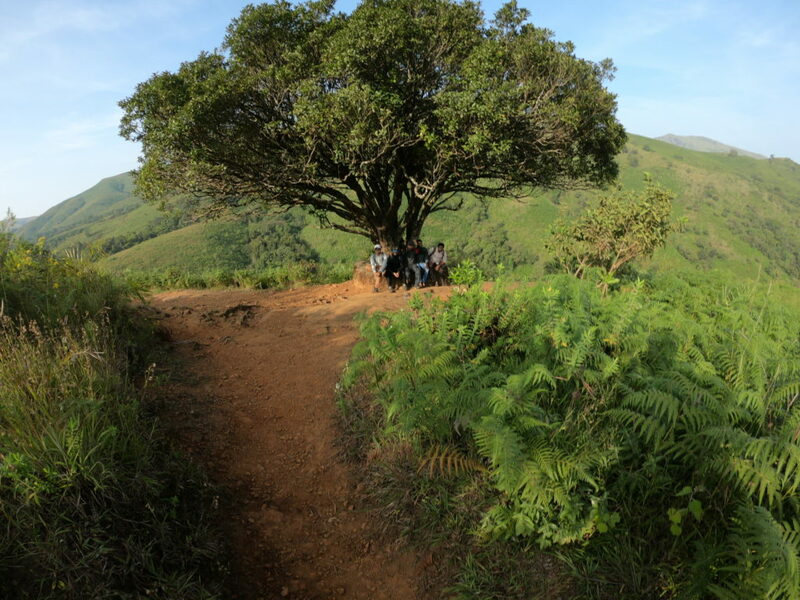 Such great information on Kudremukh trek. I am excited to visit! Wow! Such a picturesque hike. Please do visit the Philippines too. You’d love the mountains here. Thanks for the invite, it’s on my list! The journey itself is amazing, loved the narrative. I stay in India would want to visit one day. The trail looks quiet challenging!! Seeing where the peak was and where you were I am amazed you didn’t give up!! Then again from the pictures it seems like the view and sight were so worth it!! I had almost reached that stage of giving up, but something kept me going and now i realize it was just for the view from the top and wind gushing past me! This place looks amazing… it seems like one step short of heaven… gorgeous, lush terrain, and endless skies and clear waters. I’d love to see it up close too. Have heard so much about this trail but missed my chance while i was in Bangalore. Will surely go for this next time around. Stunning views!